My name is Callum Ormond. I am fifteen and I am a hunted fugitive……..
A fast-moving twelve-volume crime thriller series from a bestselling Australian author. On New Year’s Eve, Callum Ormond is chased down the street by a crazed man with a deadly warning:They killed your father. They’ll kill you. You must survive the next 365 days. Somebody wants Cal out of the way – for good. 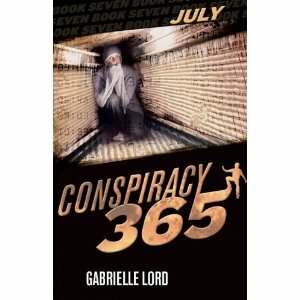 He’s been living on the run for six months, hunted by criminals and the police as he tries to solve a sinister family secret from the past. He’s been mauled by a lion, attacked by sharks and used as target practice on a firing range, but things are about to turn more dangerous yet. June: Callum has 214 days. August: Callum has 153 days. Buried alive in a coffin, Cal’s chances of survival are running out as fast as the air around him. Thanks to his unknown attackers, he’s lost the Jewel and the Riddle, and now his life hangs in the balance. Six feet under. The clock is ticking, Any second could be his last. 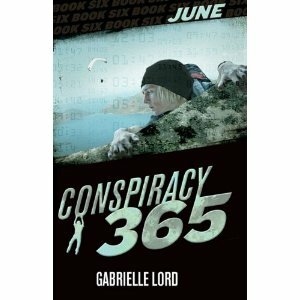 August is one of the most exciting books in the Conspiracy 365 series. 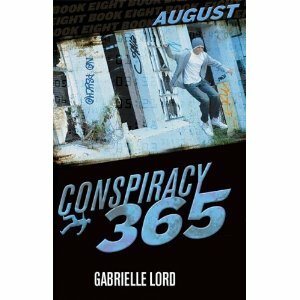 Winner of the Children’s Book Council 2010 Book of the Year for Older readers. 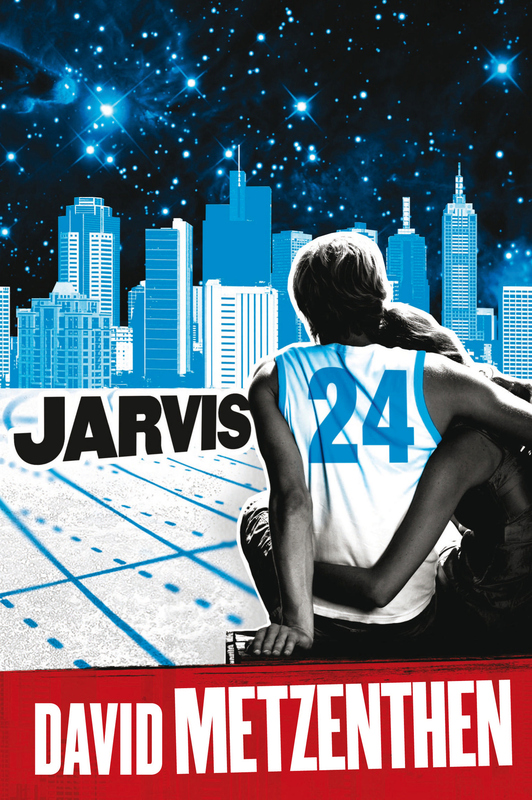 Skip is a young boy who decides to live on the streets after his parents break-up and the foster care system failed him. Shortly after, a War comes to his city and life becomes a struggle. He teams up with a much older man – Billy and a young boy – Max. They all take refuge at Dreamland which was a disused fun park. It is here that they meet Tia – a young teenage dancer and her baby whom they named Sixpence. Skip becomes very resourceful in that he is able to scrounge for food and other essential items in order to keep this “family” alive. Tia would leave her baby at night while she entertained the soldiers. Skip found this to be extremely dangerous. Their final journey saw Skip and his companions escape tp “Gulliver’s Meadows” – the property that belonged to Max’s grandparents, but there was a personal tragedy.